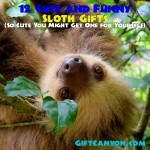 Home » Blog » My Favorite Things » Animals » Udder-ly Stunning Cow Gifts That Will Make You Go “Moo”! Cows are very useful for us since this farm animal is our source of dairy products and beef. 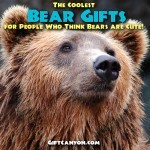 People from all over the world see this animal in different ways. In Ancient Egypt, they have Hathor who is known as a cow deity. She is the goddess of joy and the nourisher of things. In the literature of Vedic, the cow is seen as a symbol of fertility and abundance. It is also known to represent the sky and earth in their literature. Most of all, for the Hindus and the Buddhists the cow is seen as a sacred animal. In India, cows are seen roaming around the streets as they please. The cow maybe seen in different ways in every other country but some people just love this farm animal just because. 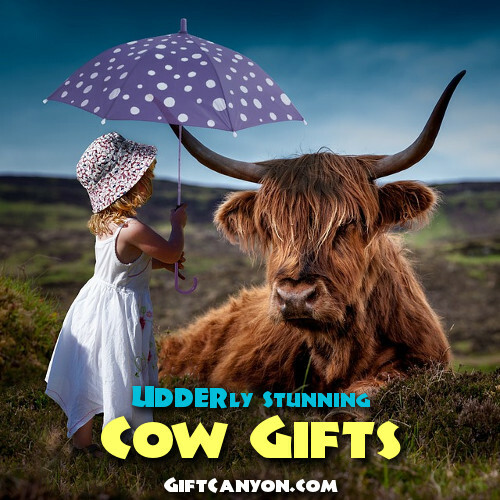 If you know someone who is a certified cow lover then we strongly suggest for you to check out our handpicked items of gift ideas that are of course cow themed. See our prepared listing below for your reference. Mornings are dragging especially if you are not a morning person like me. I can only function well after I get to have a sip of coffee but before anything else, I search for my favorite mug because I think the taste of my coffee is different if I use other mugs. When you know someone who is fetish of coffee mugs just like me then you can check out this unique looking udderly cow mug. This mug is designed using the colors of the cow with a noticeable udders at the bottom. The bottom part of this coffee mug separates it from the other mugs out there in the market. 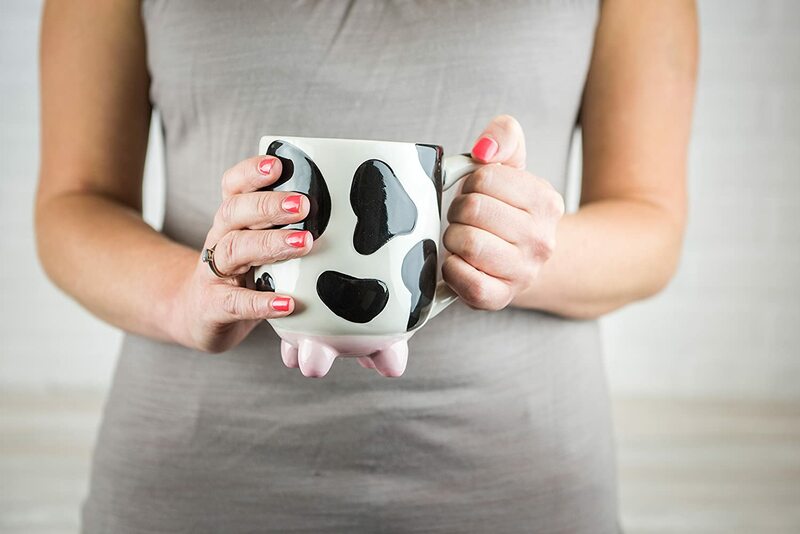 Surprise your cow loving friend with this charming udderly cow mug and make their mornings brighter as well! 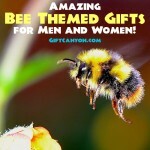 Cool Family Cow Gifts for Anyone! Sleepovers are fun especially when you are with your best buddies in the world. However, if you are the host of the sleepover or a house party, you should be loaded with fun activities to keep your friends and visitors entertained all through out! 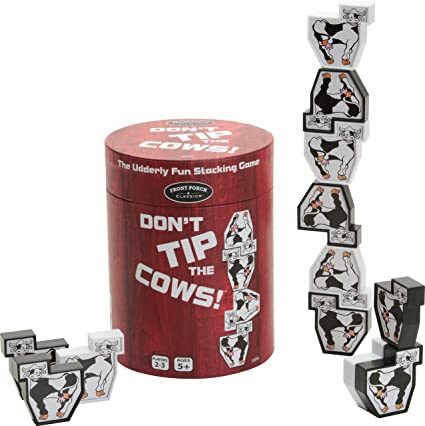 Well, to add some fun activity to your list, we are happy to recommend this exciting and udderly amusing game called: “Don’t tip the cows.” This game is designed to let the player with the most stack of cows win! Create your cow tower and make sure to keep it sturdy to be the strongest player among the rest. Don’t tip the cows game includes eighteen blocks that are cow shaped which is good for two to three players. The recommended age for this game would be five and up due to choking hazards. Cuddling or hugging is one of the natural ways to release stress, reduce high blood pressure and reduce the risk of heart disease. This is so because whenever we hug or cuddle, our body releases increased levels of oxytocin which is a bonding hormone that produces chemical reactions to our body such as the mentioned benefits earlier. 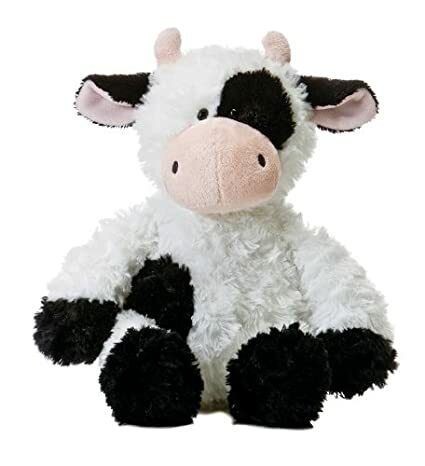 If you want to gift someone a cuddle buddy then we strongly suggest for you to check out this very adorable cow plush toy. This cow plush toy is a twelve inch cuddly plush that is perfect for cuddling. 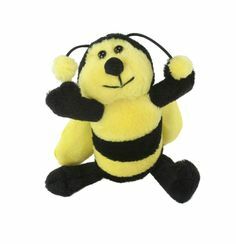 Extend your hugs and promote bonding hormones by gifting your favorite cow loving recipient with this cow plush toy. The cow is a symbol of nourishment maybe because we get milk and the dairy products from it. As an animal, the cow is very useful for man and some people do have an eye for this one of a kind animal because of its unique beauty and grace. 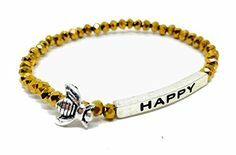 If you are thinking of a gift for someone close to your heart, the first thing that may pop to your mind is a piece of jewelry. 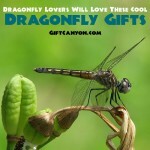 Especially for women, whenever gifted with jewelry, it is sort of a symbol of importance and value. If you are running out of ideas of what kind of jewelry to give to your muse who is somehow has a thing for cows then we strongly suggest for you to check out this cow necklace. This cow necklace is a very cute piece of jewelry which showcases the darling cow as the pendant. This cow necklace is made from high quality materials that is hypoallergenic too. 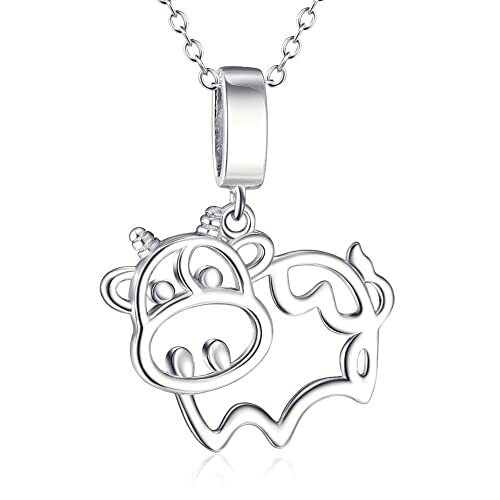 This cow necklace is made of 92.5% sterling silver which is made to last. The remarkable thing about this necklace is the cute rendition of your favorite cow! This cow necklace comes with a gift bag when bought which makes gift giving easier for you. Cooking is an enjoyable task for most people and the rewards of one’s hard work is achieved when the people you care about appreciates the food that you have cooked and prepared for them. If you know someone who is the diva or the master chef of the house and at the same time has a fantastic love for cows then our next gift idea would certainly and udderly a sure fire hit! Check out this one of a kind cow bib apron which is distinctly made with the inspiration of the lovable cow. This cow bib apron comes in black in white color to remind the wearer of one’s favorite animal in the world. This cow bib apron measures twenty seven inches long and twenty six inches wide. The material used for this apron is mostly canvas and other high quality fabrics. This cow bib apron is very comfortable to wear. Cooking, baking , gardening and cleaning can now be more fashionable through this cow bib apron. Since the cow is often associated with motherly attributes, we often picture it in our minds with a calf nearby most of the time. Cows are often loved by many because of its dazzling traits and with this some people tend to make this farm animal as one of their favorites. If you have a cow lover on your list and would like to give something that is practical or useful but at the same time cow-themed then you need to see our gift idea which is a cow and calf key rack. This cow and calf key rack is a practical and beautiful gift that you can give to the cow fanatic friend that you have. This cow and calf key rack has five rounded hooks that can be used to hang your recipient’s keys, belt, lanyards or other items that you often hang. 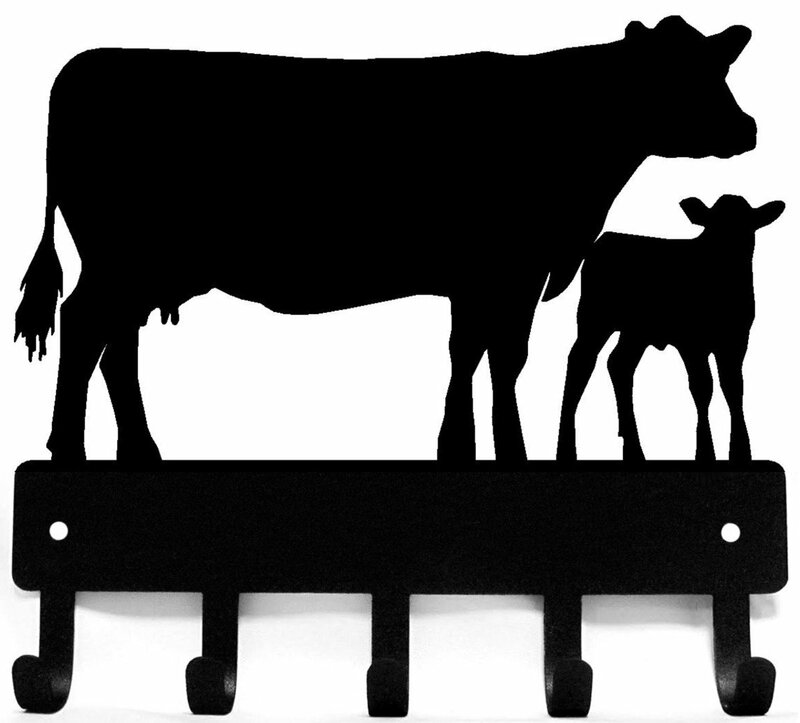 This one of a kind rack is made of gauge steel that is remarkably cut with a cow and calf silhouette. You can mount this cow and calf key rack on the wall easily by using the two screws included in the package. Organize your room in a cute and fashionable way through this one of a kind cow cart. This cow cart is designed with a very dazzling cow that would certainly be appreciated by any cow lover out there. This cow cart is washable and even reversible. The fabric used on this cow cart is made of coated canvas and cotton polyester which measures thirteen and half centimeters wide and eight centimeters in depth. 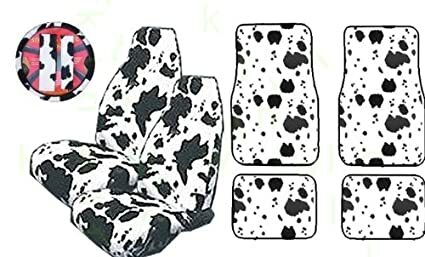 Go full throttle with the cow theme design by putting on a cow print auto interior as surprise! 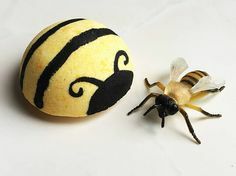 A cow lover would certainly adore this surprise if you gift him or her with a cow makeover of his or her car. 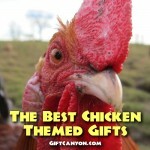 This gift set includes universally fitting cow seat covers, two universal rear and front floor mat. 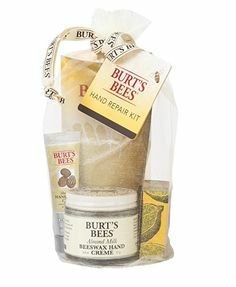 This gift set also includes a steering wheel cover that can fit most steering wheels which measures fourteen and half inches to fifteen and half. 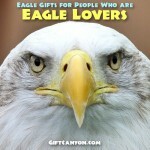 Our daily grind is often fast paced and we just need something that can carry our stuff as we go. If you know someone who is always on the go and is guilty of being in love with cows then you need to check out this fantastic gift idea that we have which is a cow tote bag. 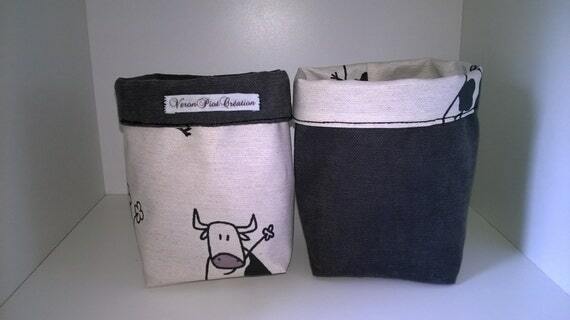 This cow tote bag is sturdy, durable and weather resistant. This tote bag measures fifteen inches by fifteen that can be personalized with a name too. 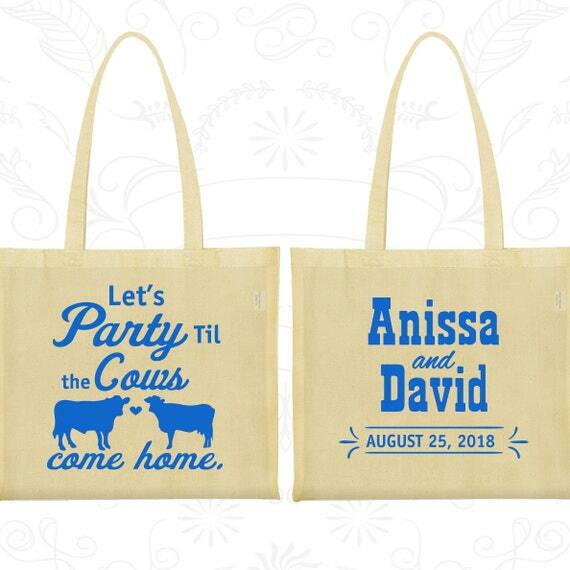 The design of this tote bag is so cute not only because it features the charming cows but because you can also customize it by putting your names to make it more special. The printed cow designs are seen both in the front and back while the inside shows a black lining made of one hundred percent polyester. Here is another cute looking tote bag which features the cute cow but this time the print is inspired from a watercolor painting of the darling cow. Check out this Watercolor Cow Tote Bag for your reference. Kids are often hate school especially the little ones. Maybe because of the bullies or the tiring tasks they do at school but to give them something to look forward to every morning, you need to inspire them with the things that they associate with school such as their school stuff. This cow backpack would certainly do the trick to keep your child motivated to go to school. 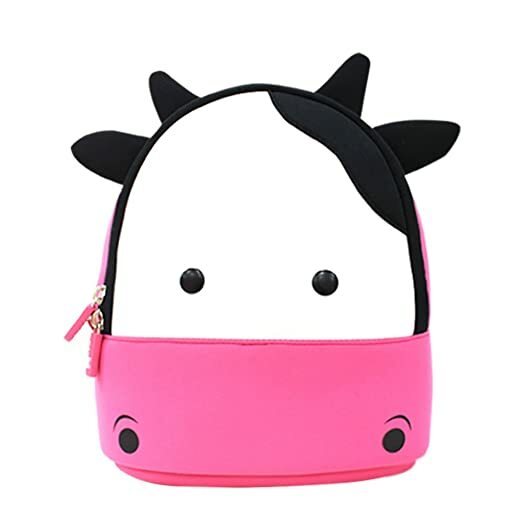 This cow backpack features a very colorful and beautifully designed cow’s head that is animated and would certainly be loved by any child who is fond of cows. This cow backpack is made of waterproof neoprene which makes it a very trusty companion for your kid! 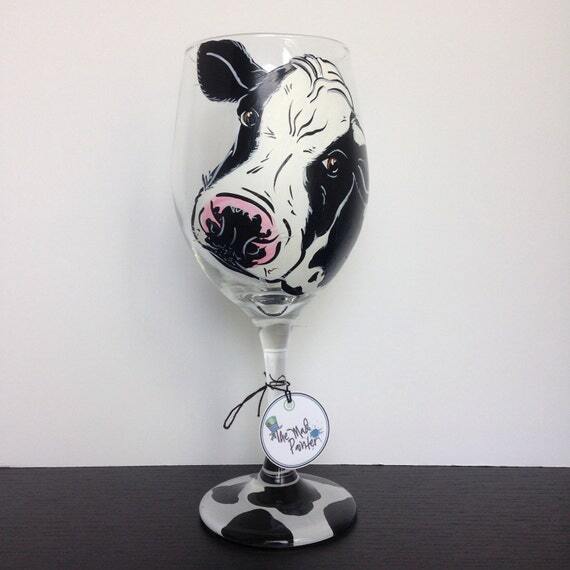 Celebrate the weekend or any other special occasion by having a toast using this one of a kind cow wine glass. This cow wine glass features your favorite cow as the main design. This cow wine glass is dishwasher safe but hand washing is still preferred. You can even personalize this cow wine glass with a name as you please. Spill proof tumblers are very useful for those who travel or who are always on the go. It is difficult to drink and drive at the same time if you don’t have trusty coffee tumbler. If you have an active lifestyle, travels a lot or knows someone who does then you need to check out this cool gift idea of a cow print tumbler. 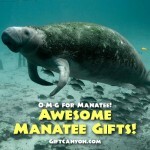 Anyone who loves cows and is fond of drinking coffee while driving would greatly appreciate this gift. 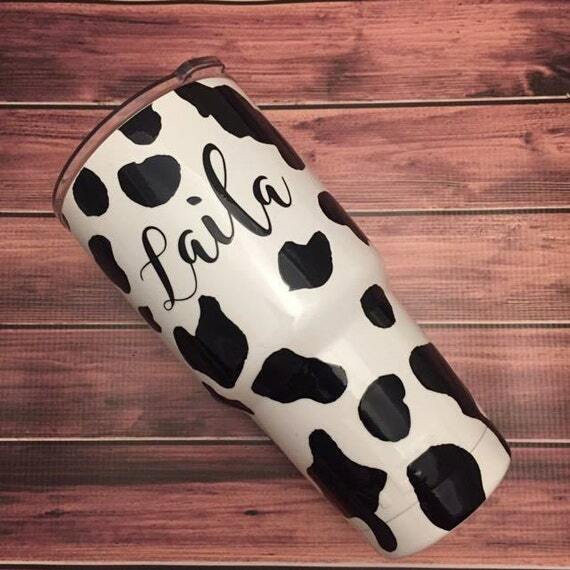 This cow print tumbler is made of powder coated white with vinyl. You can customize this tumbler with a name or monogram of your recipient as well. This cow print tumbler is superb since it can keep a cold beverage for up to twenty four hours and a hot beverage for up to six hours. Keep you coins organized and intact using this very lovely cow coin purse. This cow coin purse measures over four inches in size and is made of leather. 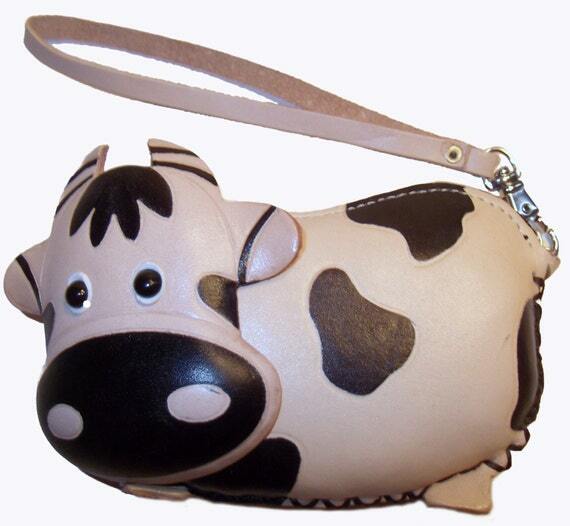 You can easily see the cuteness and charm of this cow coin purse even from a far! 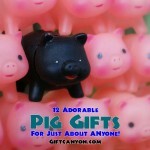 Any cow lover out there would certainly love to have this as a surprise gift for sure! People who are always on the go would want to have their things in place and intact all the time. 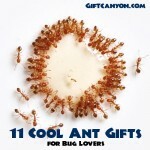 This is so that they can just drag their stuff and go without any fuss. If you know someone who is always on the go and can’t live a day without having a puff then this highland cow cigarette tin case is the perfect gift! 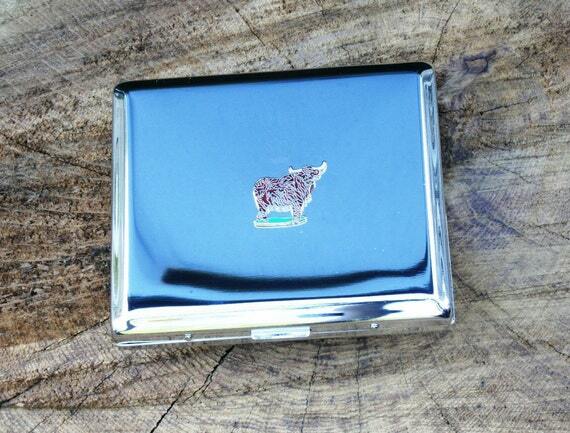 This cow cigarette tin case is perfect for the cow lovers out there who is fond of travelling and smoking. This tin case measures eleven centimeters that can safe keep your loved cigarettes in peace. You are assured that cigarettes would not break and kept protected inside this tin case. 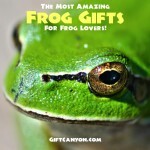 You can personalize this gift idea by adding a monogram or name to be engraved. This cow cigarette tin case comes in a gift box when bought too. 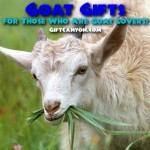 Goat Gifts for Those Who Are Goat Lovers! 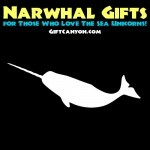 Narwhal Gifts for Those Who Love The Sea Unicorns!